We are excited about some new wall tiles we've just ordered from Italy. The series is called CRAYONS and it's an interesting version of the traditional 75x300 format that's very popular for feature walls and splash-backs. These new tiles should arrive early October 2016. 75x300 CRAYONS Charcoal makes a beautiful & dramatic statement as a feature wall. 150x150 DETAIL Diamond tiles - simply beautiful!! This is a traditional 150x150 square format tile - but with a special difference! The faceted edge provides different laying options and looks. Available now in matt white & black, with other colours or gloss tiles available on an indent basis from Italy. Our beautiful 50x200 WAVE White matt tiles. Just released at the September 2014 Cersaie tile fair in Bologna, Italy, and exclusively available from Designa Tiles, the exciting BAITA series replicates traditional rustic parquet timber flooring in a state-of-the-art digital porcelain tile format. These 600x600mm tiles have a textured, wood-like surface and are rated R10 - suitable for both interior and exterior applications. The Baita series will be arriving in New Zealand early in 2015. Initial stocks will be limited, so we suggest you contact Designa and register your interest now! Last Friday we unloaded our latest container to arrive from Italy. It included some new products from our supplier Self Ceramiche and we are very happy to advise that we now have stocks available of Self's 75x150 VICTORIAN Bianco Lucido (white gloss) and their 75x300 and 75x150 CLASSICA Grigio Seta (a beautiful very pale grey) wall tiles. Both the VICTORIAN and CLASSICA series feature luscious glazes and an interesting hand-made look and are an ideal compliment to traditional villas and bungalows. Perfect for a kitchen splash-back or bathroom, these new tiles have character and lasting appeal that will add interest for years to come. Check the new tiles out in our Ellerslie showroom or at one of Designa's authorised resellers around New Zealand. At this time of the year many of our customers are heavily involved in their children's weekend sports activities. Rugby, soccer and netball can take over Saturday mornings and leave little or no time for anything else. As a convenience for Designa customers we have decided to open for extended winter trading hours on Saturdays (9am through to 2pm) and we will also be open on Sundays from 11am through to 3pm. Please do pop in to see us! Unique SELECTION series from Refin - It's here!! We unloaded our latest container from Italy last Thursday. It was a full container load from one of Designa's® leading suppliers, Refin Ceramiche of Italy, and contained a very exciting new range called the SELECTION series that has just been released exclusively through Designa® in New Zealand. It's already attracting lot of interest from our regular designers and specifiers. SELECTION comes in six beautiful colours (two of which are currently available immediately from stock), in two finishes; natural and semi-polished (lappato) and in 3 stock sizes; 750x750, 375x750 and 250x750. There are also some very attractive mosaic options to add some textural interest and drama. The flagship 750x750 sized tile is a whopping 56% bigger than the commonly encountered 600x600 tiles found elsewhere on the market. Bigger tiles mean fewer grout joints and a much more expansive feel to the area that's tiled. The 375x750 or 250x750 sizes are perfect for walls. The SELECTION series uniquely uses the very latest digital technology to create a design that blends 5 different stone patterns with timber. The result is a combination of patterns that are totally different and yet fully compatible with one another. No two areas tiled with this series will look the same. Each will be completely unique and individual. SELECTION is so different that you really need to see it laid out to fully appreciate just how different it is from tiles you may have seen elsewhere. You would be very welcome to pop into our Ellerslie showroom, or the showrooms of any of Designa's® authorised resellers to have a good look. Don't hesitate to talk to Designa® if you'd like to know more about the SELECTION series. STONEDESIGN Series - Now Arrived! Just Arrived! The versatile STONEDESIGN range from TerraTinta Ceramiche of Italy. 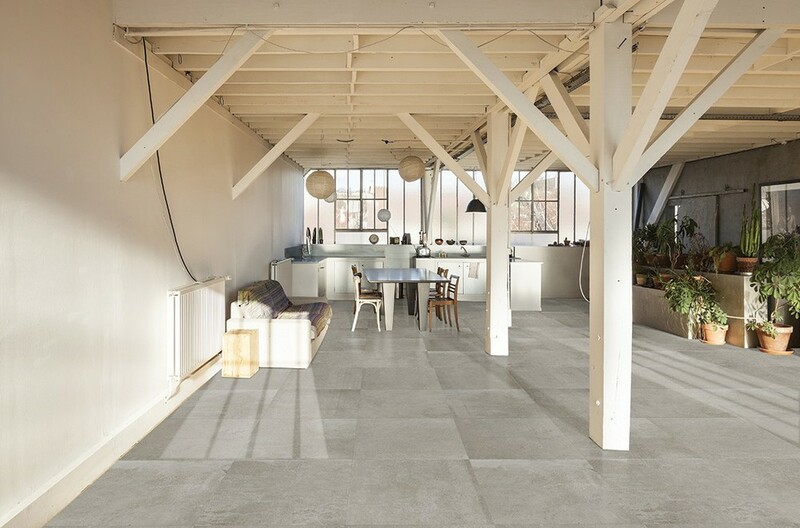 This is a 600x600 full-body, unglazed porcelain stoneware series that comes in four great colours and two finishes. The Matt finish is perfect for contemporary interiors, whilst the Chiselled finish provides grip for exterior applications. Designa® currently holds stocks of the colours Chalk and Cinnamon, and Ash and Rope are available on indent terms. 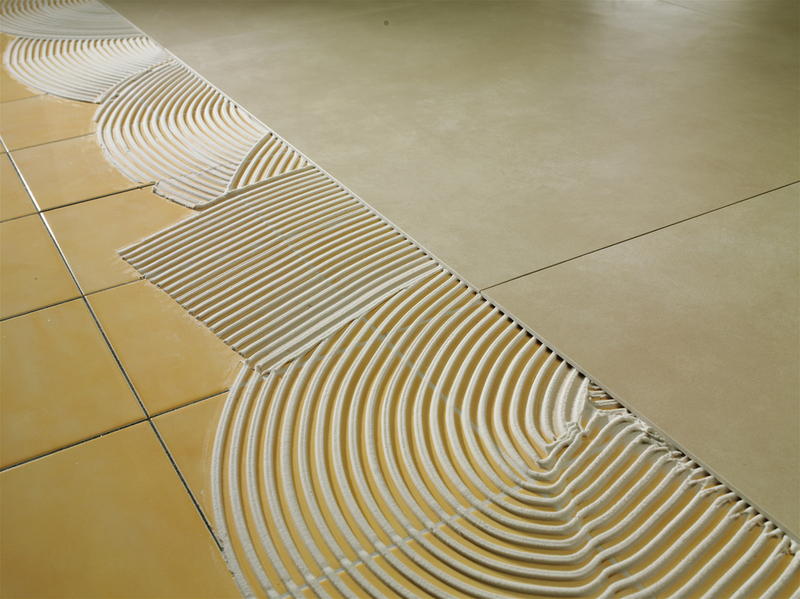 The tiles have a high degree of chromatic variation (V3) and look very natural when laid. Being fully vitrified STONEDESIGN tiles are completely frost-proof and fire proof, of course with no emissions either, so the series has been awarded 6 LEED point credits under the US Green Building Council's certification procedures. Various size options such as 300x600, 150x600, 100x600, 50x600 & 100x100 plus three different mosaic possibilities (all available on indent), make the STONEDESIGN series a fantastic choice. Talk to Designa® today! Refin's best-selling ARTECH series is now available in their innovative 4.8mm thick "Skin" format. These tiles are half the thickness of standard ARTECH product yet retain almost all of the technical characteristics of full-bodied porcelain stoneware. Unlike some of the 3mm product available in the New Zealand market, ARTECH "Skin" does not require a mesh backing for strength and stability. This product is ideal for tiling right over existing tiles (thereby avoiding the need for messy and costly demolition) on floors, or as a light-weight porcelain option for walls. ARTECH "Skins" are fire-proof, frost-proof and fully vitrified. They are manufactured from natural raw materials, they have no emissions and are a very 'green' choice - especially when the lighter weight also means lower transportation costs. ARTECH "Skins" are exclusively imported by Designa® on indent terms as required. The ARTECH series features five popular colours; bianco, beige, perlato, grigio and nero, and in sizes; 600x600mm and 300x600mm. This photo shows the 4.8 mm "Skins" being laid over an existing tiled floor. | 09 579 0714 | info@designa.co.nz | © 2016 Designa Tiles Ltd.